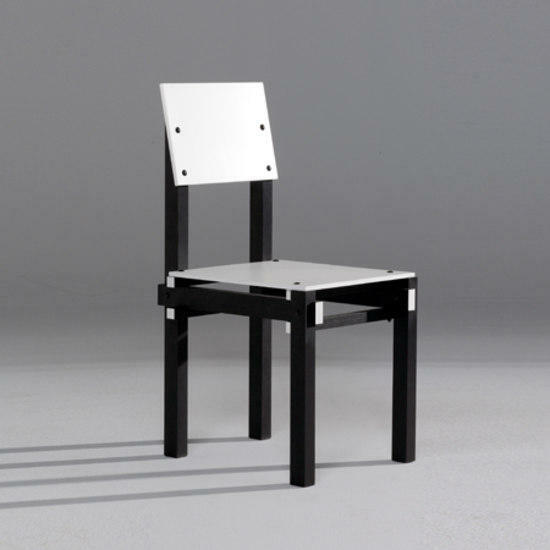 In 1923, Rietveld was commissioned to make chairs for the Catholic Military Home in Utrecht. 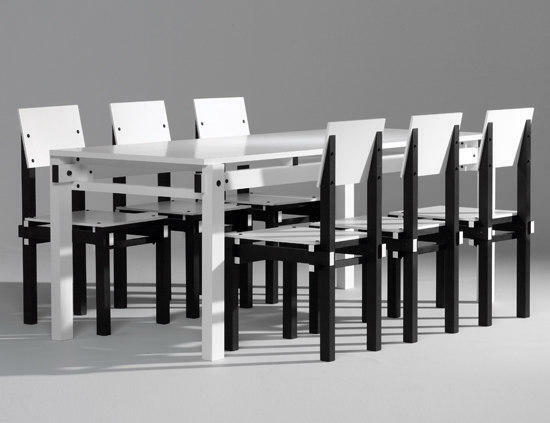 The horizontals and verticals of these chairs are connected by halved joints reinforced with strong nuts and bolts. The same bolts are used to screw the short backrest onto the slanted rear verticals. 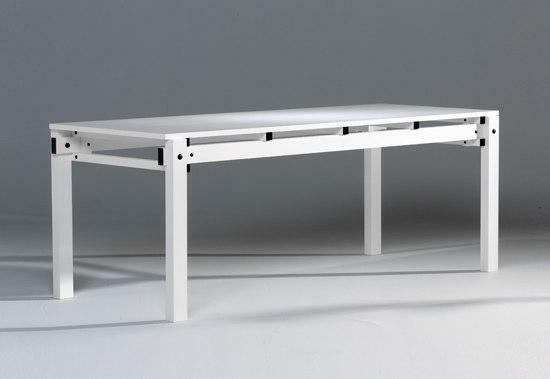 The table top does not rest directly on the verticals, but on a number of slender cross bars, thereby creating a light spatial construction. The Military stool is made to the same construction as the Military chair and table. The set was originally made in various colours: black/white and different shades of grey. 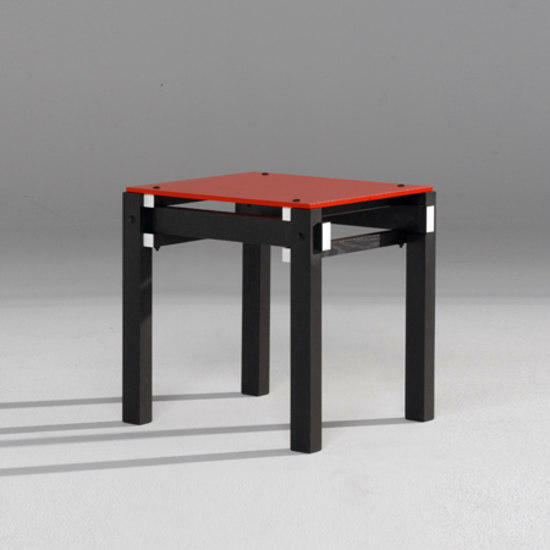 Initially, Rietveld by rietveld have chosen black/white and black/red. Metz and Co. in Amsterdam was the first company to sell the 'Military line' of Rietveld furniture.